There's never a convenient time to lose control of your card. We are taking your VISA Card Alerts to the next level with the MyCardRules app, giving you control over how, where, and when your card is used. Control when your card is used by turning it On or Off as needed. While the card is turned Off, all transactions and balance inquiries at ATMs are denied. Recurring payments, credits, and deposits will continue while your card is set to Off. Set notifications for any activity on your BMI FCU Visa credit card and non-pin based debit card transactions. Set purchasing limits to include locations, merchants, and spending amounts. Search for the free MyCardRules app in your mobile app store and follow the instructions to install. Open the app and select New User to register. On the Card Verification screen, enter your card number and tap Next in the upper right corner. Select Control Preferences to edit notification settings. Begin managing your card by freezing it or unfreezing it when you see fit. BMI Federal Credit Union. Call us at 614.707.4000, or visit us at any of our five branches in Dublin, Columbus or Westerville. *Visa Card Alerts are provided at no additional cost. However, you may incur charges to send or receive information for internet, cellular or other data services from your wireless carrier. 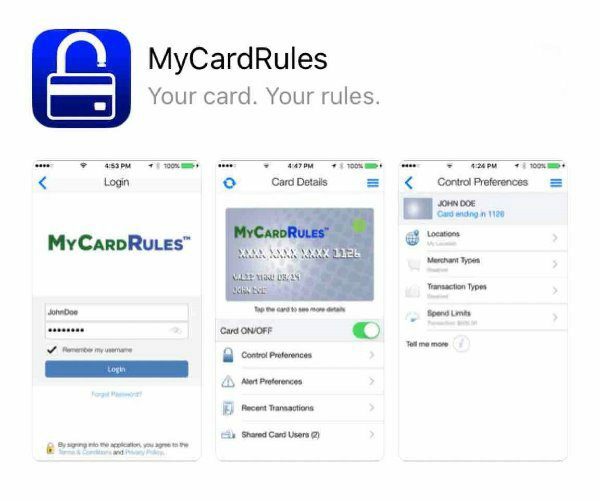 MyCardRules is a mobile application developed and maintained by Jack Henry and Associates for financial institutions that use JHA Card Processing SolutionsTM card processing.